The firm problem-solves in the trial court, state and federal, in all kinds of consumer protection cases. 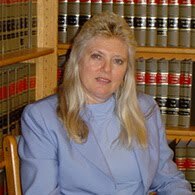 Ms. Haas is a staunch, experienced advocate for persons who have been the victim of unfair, deceptive, or fraudulent business practices. She is knowledgeable of your rights and remedies. Today, many large institutions, including banks "too big to fail" have engaged in other sloppy practices such as only electronically registering the sale of a house with MERS, Mortgage Electronic Registration Systems, instead of trudging down to the county land-records office and properly recording the sale. This defective practice has clouded millions of property titles. Even worse, banks have flaunted the principles upon which the legal system is based by routinely employing "robo-signers" who falsely attest they've reviewed a foreclosure file. Don't allow these large institutions to not play by the rules. It takes a staunch advocate to stand up to a JP Morgan Chase or Bank of America. Recorded Child Support Judgment Trumps New Mortgages -- Mother recorded a Final Judgment for Child Support Arrearages in the amount of $308,986 against the defaulting payor's real property. Several years later, despite the Final Judgment clearly appearing in the county records, one bank remortgaged the property, giving the defaulting payor a new 1st mortgage, while another bank gave him a 2nd mortgage. Mother obtained rulings in accordance with Florida law that the Final Judgment had priority over both mortgages. After knocking the mortgages off the property, the court appointed Mother receiver to sell the property, and all proceeds went to the Final Judgment -- nothing to the banks.